EMSL Analytical, Inc. is proud to announce that its Charlotte laboratory is now NCDEQ accredited for PCBs in solids. EMSL Analytical, Inc. is proud to announce that its Charlotte, North Carolina laboratory has added polychlorinated biphenyls (PCBs) testing to its list of accreditations through the North Carolina Department of Environmental Quality (NCDEQ) Division of Water Resources. EMSL Charlotte can now analyze organic PCBs in solids via EPA Method SW-846 8082A. PCBs were used as an additive in some caulks in the past due to their water and chemical resistance, durability and elasticity. The chemical compounds were also used in other building materials such as paints, mastics, sealants, adhesives, specialty coatings and fluorescent light ballasts. While PCBs were banned in the United States in 1979, they can persist in old materials and contaminate surfaces, dust, soil and the indoor air quality (IAQ) of structures. According to the U.S. Environmental Protection Agency (EPA), PCBs have been shown to cause cancer and numerous other serious health effects in animals. In addition, EMSL Charlotte is accredited by the American Industrial Hygiene Association, LLC (AIHA-LAP, LLC) Environmental Lead Laboratory Accreditation Program (ELLAP), Environmental Microbiology Laboratory Accreditation Program (EMLAP) and Industrial Hygiene Laboratory Accreditation Program (IHLAP). EMSL Charlotte is an AIHA-LAP, LLC participant in the Environmental Lead Proficiency Analytical Testing Program (ELPAT) for lead testing in paint chips, soil, dust wipes and air. The laboratory is also an AIHA-LAP, LLC participant in the Environmental Microbiology Proficiency Analytical Testing Program (EMPAT) for fungi as well as the Industrial Hygiene Proficiency Analytical Testing Program (IHPAT) for asbestos, metals, silica, organics and formaldehyde analysis. The laboratory is also certified by the National Voluntary Laboratory Accreditation Program (NVLAP) for air and bulk asbestos analysis. EMSL Charlotte holds state certifications for Virginia in polarized light microscopy (PLM) and transmission electron microscopy (TEM) as well as in North Carolina for coliform, metals by ICP and turbidity in drinking water. EMSL Charlotte is located at 10801 Southern Loop Boulevard in Pineville, North Carolina and can be reached directly by calling (704) 525-2205. 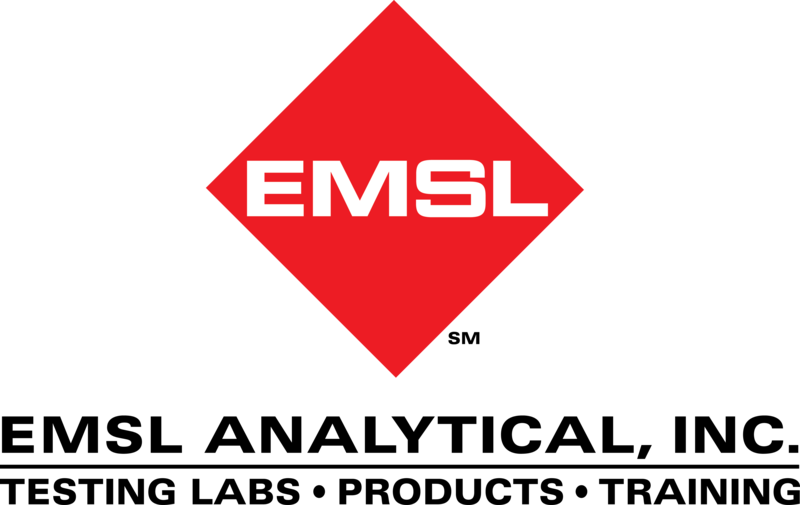 EMSL also has laboratories in Raleigh and Kernersville. To learn more about EMSL’s testing services and locations, please visit www.EMSL.com, email info@EMSL.com or call (800)-220-3675.